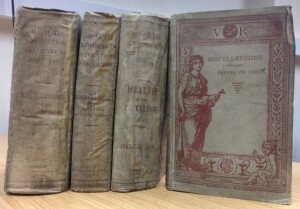 In 1884 London hosted an International Health Exhibition under the patronage of Queen Victoria and the Prince of Wales, and directed by an Executive Council. It’s aims were far-sighted. It covered everything that promoted the preservation of good health in the populace through displays and official education programme. It was also intended as a celebration – to show-off to the rest of the world – the great technological strides made by the Victorians in improving disease control, especially through better sanitation and water purification, for the improvement of the health of the nation. 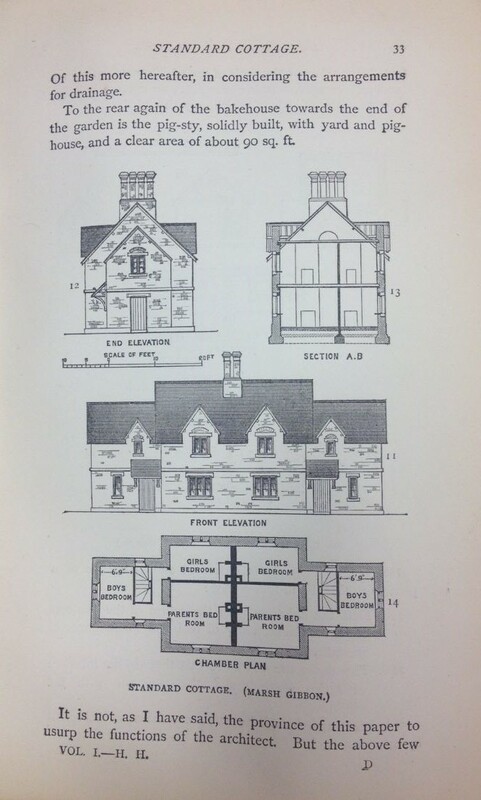 Throughout, the Exhibition gave prominence to practical and inexpensive ideas which could be adopted by ordinary people to improve their living conditions. To facilitate that, instruction and demonstrations were laid on in cooking, applied sciences, art and handicrafts. 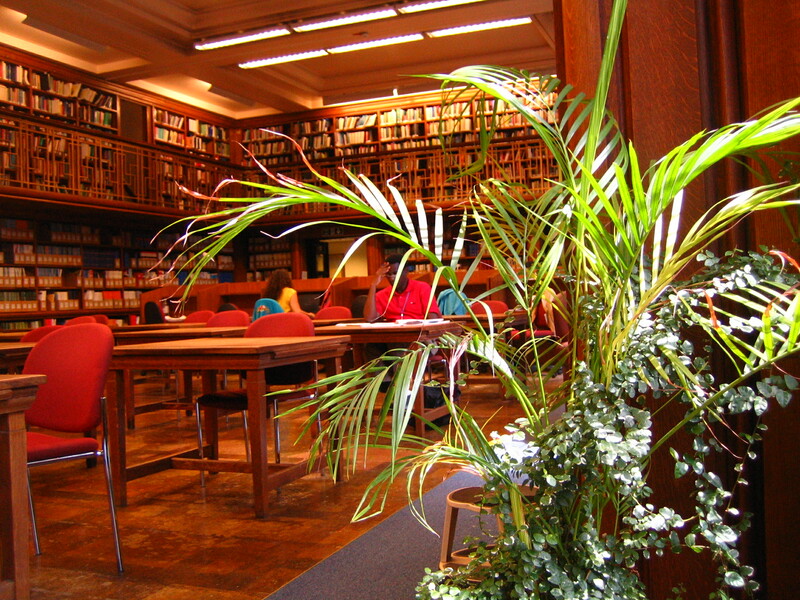 A temporary Library stocked with donated books was set up in two rooms in the Royal Albert Hall for visitors to consult, a Librarian appointed, and a 536 page catalogue printed. 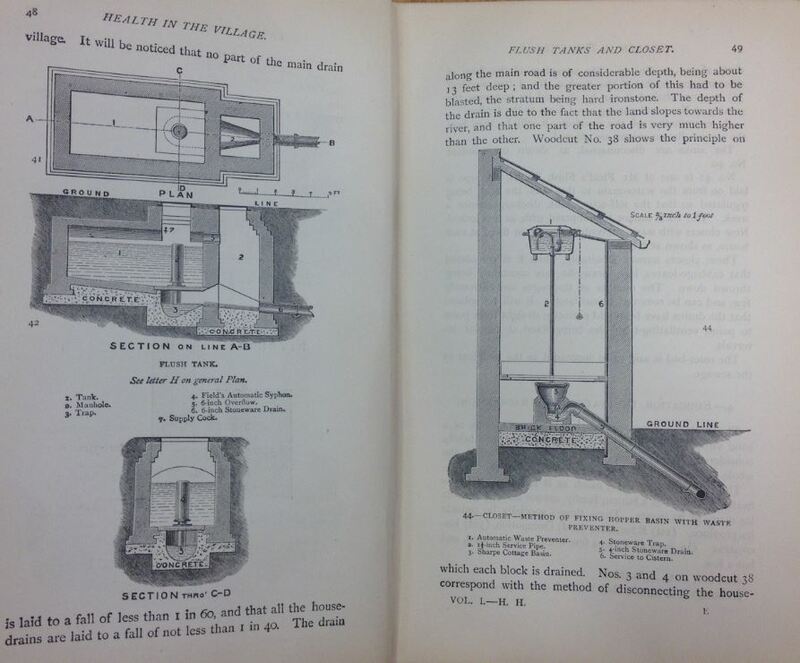 Water and electricity companies – which had done so much to improve the lives of ordinary Victorians – exploited the opportunity for self-promotion by the construction of a magnificent fountain which sent up jets of water 120 feet (40 metres). 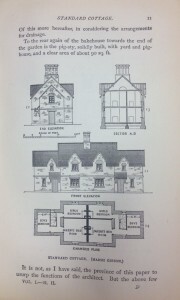 The most visited exhibit was the reconstruction of an Old London Street using real houses, some 4-5 storeys high, from earlier, insanitary times, which contrasted with advances in sanitary science as shown by vast displays of drainpipes and ventilators, and hygienic devices. Exhibitors from Great Britain were joined by many participants from Europe, Asia and the Americas who brought with them inventions and natural products. The Japanese, for example, provided recipes for making saki and meals made out of soy beans which today we call tofu. 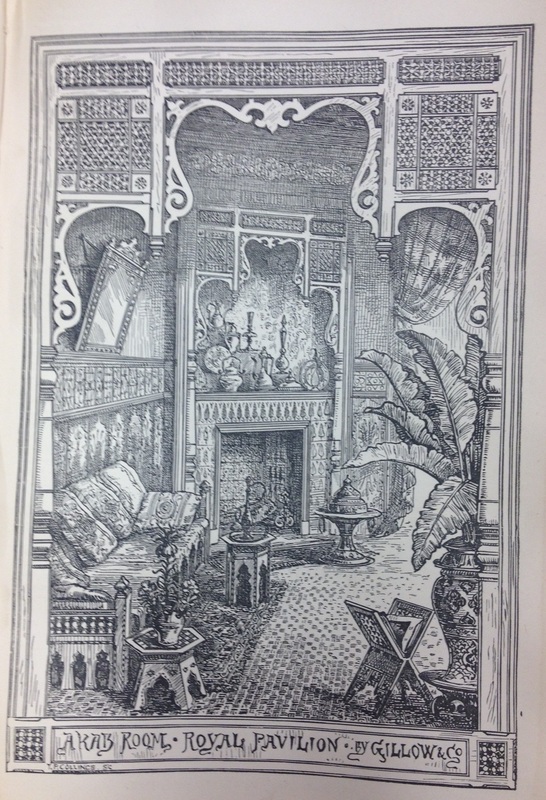 The first ever Chinese menu was introduced to Great Britain at the Exhibition. There was so much to see but a particular innovation can be singled out, created at his own expense by Francis Galton (1822-1911), human geneticist. 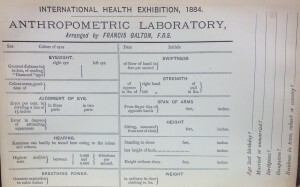 He set up an Anthropometric Laboratory equipped with instruments where for 3 pence (less than one penny in today’s money) visitors could have their senses of hearing, sight, and smell tested, their strength calculated, their weight and height taken, and the results entered on a card to take away with them. 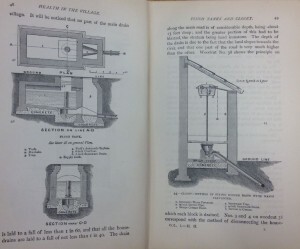 Galton continued his work at University College London where he used the data so collected for his quantitative analysis of human populations. 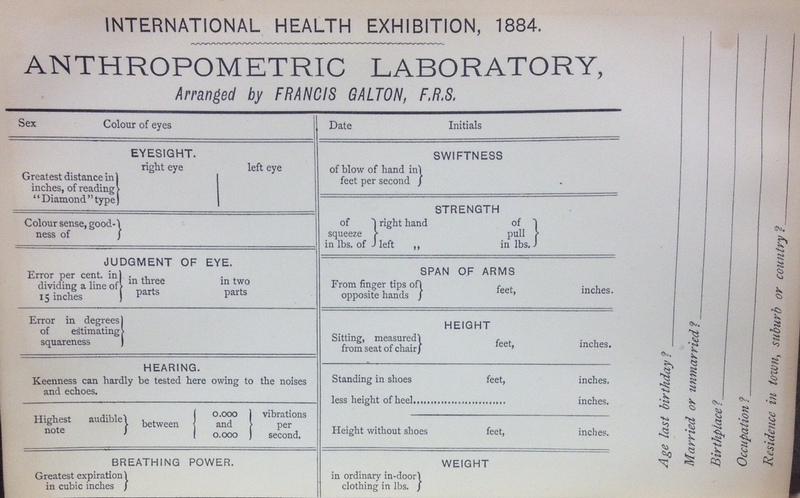 Data card of the Anthropometric Laboratory. 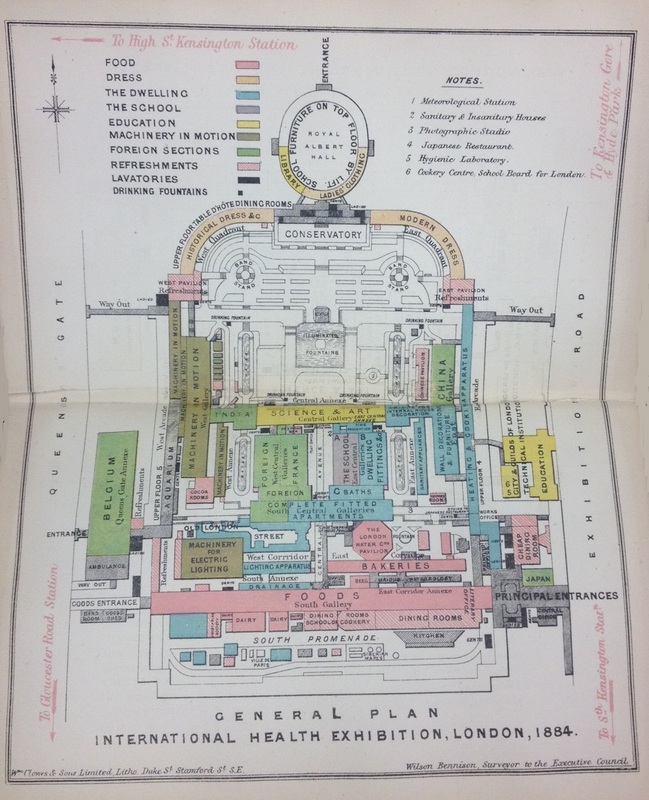 Almost no trace remains today of the International Health Exhibition of 1884 (although the British Library holds a few ephemera). 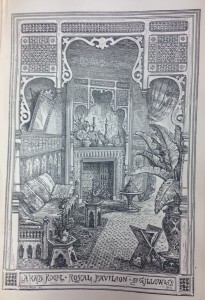 However, accompanying the Exhibition, was a descriptive and illustrated catalogue of nearly 20 volumes. 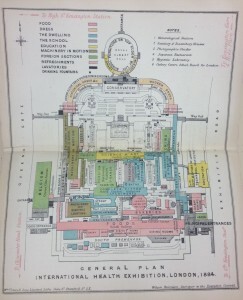 The contents range from lists of the names of the commercial exhibitors, a guide to the aquarium to essays by experts on relevant fields. 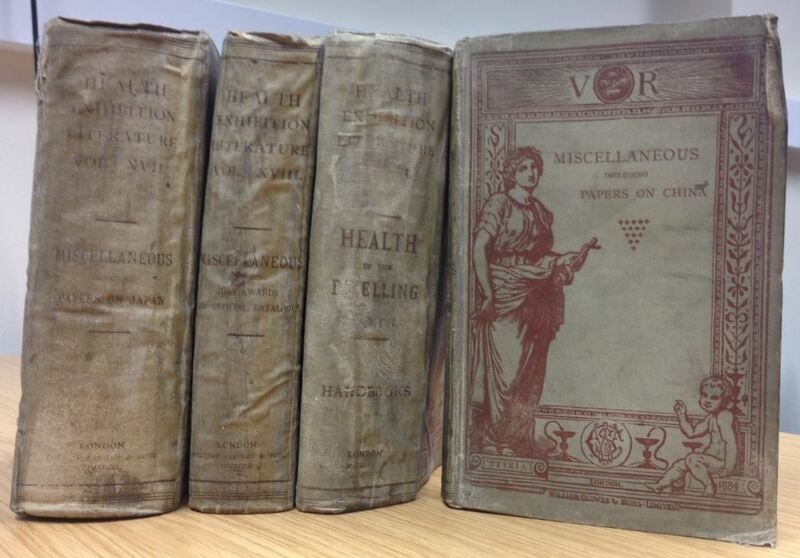 The LSHTM Library holds a complete set of the volumes which take up nearly one metre of linear shelving.